As we progress as chess players we quickly learn a set of guidelines which help us to formulate plans, develop typical strategies and recognize key tactics. However, chess is not an easy game, with fixed ‘rules’ that can be applied to every single position. In fact, blindly following such rules proves to be counterproductive and prevents a player from moving on to the next level, whereas knowing when to ‘break’ these rules is precisely the skill which separates the best from the rest. Neil McDonald is a Grandmaster who has firmly established himself as one of the world’s leading chess writers, with many outstanding works to his name. 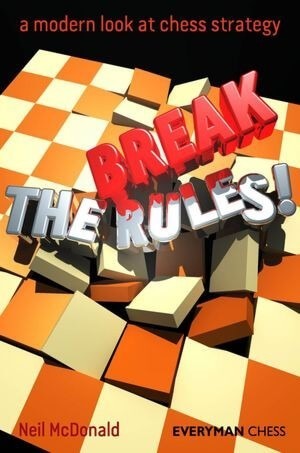 You're reviewing: EBOOK - Break the Rules!